Summer is winding down and back to school shopping is in full gear! We have a sale on personalized school books to get your kids excited about going back to school and getting them in the habit of reading. 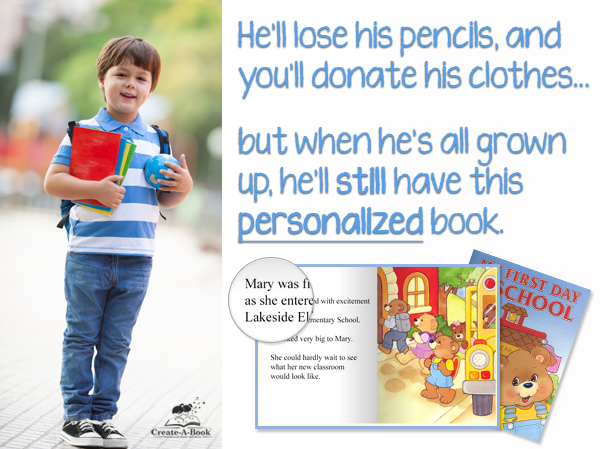 Our personalized children’s books are special in that they star your child as the main character. Sale Ends on September 6, 2014 so hurry and stock up on books that they will treasure for a lifetime. KD Novelties is an award winning publisher of personalized kids books that have been bringing smiles to children’s faces, building their self-esteem & promoting literacy for over 10 years.